Posted April 26, 2016 by learnlocal & filed under Uncategorized. Making sure that your resume presents you in the best possible light and earns you a face-to-face interview at the very least should be the goal. And while there’s no discounting the importance of your qualifications, experience and references, the presentation of your resume is key as well, and could make all the difference when a prospective employer is deciding on their short list of applicants. Here are 24 hr pharmacy- viagra coupon- buy cialis online 5 tips for writing an effective resume. Do your best to avoid making spelling and grammatical mistakes. If you are not sure, ask someone at a Learn Local organisation near you to proof-read your resume. When you’re trying to sell yourself on so many fronts, it can be difficult to know which points to highlight and what to leave out. Find a way to talk about your career highlights in a succinct and effective manner – as a general rule, your resume should be limited to a maximum of just two pages. If you can make it even shorter while still maintaining its effectiveness, then please do so. Just make sure that you haven’t inadvertently left out the relevant and important bits. 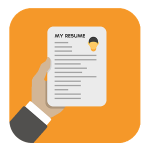 When you’re sending out multiple resumes for various roles, it can be tempting to craft a general resume that showcases all of your abilities for your applications. Our strong recommendation: don’t do that. Employers want you to care enough about the role and their company to prepare a resume that has been written specifically for them. Ideally, it should clearly outline how you are qualified for the role and, more importantly, why you are the perfect fit for their particular organisation. Pretty much all job listings will include the key criteria for the role. This might be specific qualifications and skill sets, or a certain amount of experience within a particular sector. Pay close attention to the listing, especially sections such as “requirements”, “skills” and/or “responsibilities”. Those will tell you which aspects of your career or achievements that you need to highlight, so be sure to address those points and clearly show how you meet the criteria. Finally, always double check your personal details, details of references and contact information. You’ll be surprised to know how many people accidentally send out resumes without providing prospective employers with an accurate way of getting in touch with them. No matter how excellent your resume and qualifications are, none of it matters if a prospective employer is unable to reach you. Make sure your contact details are easily found and clearly listed on your resume, and don’t forget to double check your phone numbers!